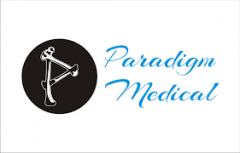 Medical Paradigm is both a clinical and a research-oriented peer-reviewed journal in the field of integrative medicine. Its specific mission is to look at the combination of Eastern body arts with traditional Western medicine. Medical Paradigm is also designed to be a teaching tool for health care and allied professionals, including medical students, insurance companies, researchers, health care professionals,and rehabilitation specialists—to name just a few. July 2004 Press ReleaseIn addition to regular quarterly issues, supplementsand special sections to Medical Paradigm will be published periodically throughout the year.SupplementsSupplements will focus on individual topics, reflecting leading research, trends, and meetings of significance to the readership. Special SectionsSpecial sections will regularly showcase new and ground-breaking research, practice guidelines, and available products and services for integrative practice. CirculationMedical Paradigm is targeted to maximize advertiser exposure to interested professionals throughout the United States and Canada. Developed the first international magazine for kidney patients, The Renal Family, which became the prototype for many current patient-education magazines. Conceptualized and developedkey marketing strategies for niche medical products in nephrology, cardiology, oncology, orthopedics, and otolaryngology (among others). Created single-sponsorshipjournals for health care professionals in all specialties. Created the medicaljournal Current Oncology. Publisher of Peritoneal Dialysis International. Multimed publishes medical textbooks, reference books, periodicals, and peer-reviewed journals. The firm specializes in carefully edited publications for practicing physicians, nurses, biomedical scientists, medical students, residents, and allied professionals. An article management service meets the needs of the medical industry around the globe. After more than two decades, Multimed Inc. has proven itself a leading international publisher of professional health information in hardcopy and online venues alike.